A few years ago while spending time in Los Angeles, a friend invited me to a tea ceremony at her house. I had no idea what this meant, but as I’m very partial to a cup of tea as well as to my friend, I went along. I ended up having one of the best nights’ of my life. It turns out that in Taiwan the art of preparing and drinking tea is a form of meditation. About 8 of us sat crossed legged on the floor while a follower of this tradition went through the process of heating the little cast iron pot, preparing and brewing the tea and then meticulously pouring it slowly into each cup. This all took quite a long time but instead of getting restless and bored, I found myself becoming very still, my breathing slowed and I felt quite peaceful. We drank a young fresh green tea. Then she began the whole process again with another much older tea. By now, even though I was sitting there with my eyes open, even talking occasionally, I felt like I was deep in meditation. This second tea tasted woody and of the earth. I felt myself go very heavy and sleepy and yet completely content, euphoric even. It was such a profound feeling, I began to wonder if I’d been drugged. I even asked our tea master (a young girl by the way) if she’d slipped something in my tea which made the entire group burst out laughing. All I know is that by the end of the night I felt completely bonded with everyone there and utterly rejuvenated. Wow, if only every cuppa was like that huh? It got me thinking about tea though. I switched to green tea a number of years ago. The reason being that I had a tendency, whilst filming outdoors in England, to drink endless cups of regular tea to warm myself up. One day I calculated that I’d drunk 12 cups! The result was I felt jittery from caffeine and couldn’t sleep. I decided to stop and went without any caffeine for 3 weeks. The result was the worst headache I’d ever had for the first 3 days and then I proceeded to yawn continually for the next fortnight. People couldn’t believe I was sticking with it because I was obviously suffering with the lack of caffeine. However, I figured that I was giving myself a good caffeine detox and there was no way I was going to put myself in that state again. I then stayed off tea and coffee for about 5 whole years. One of the main benefits was that I slept much better. But then one day I decided to try a cup of green tea. It does contain caffeine but less than regular tea and has so many health benefits, I thought it was worth it. And I’ve stuck with green tea, and occasionally white, ever since. Unbelievably I’ve never had a cup of regular tea since, which is a bit silly as I regularly drink a cuppacino. So just how good or bad for our health is a cup of tea? Well the good news is that tea, all types of tea, are good for you. Phew. The question is what is classified as tea? Real tea is derived from one plant, Camelia Sinensis, and comes in 4 varieties: black, green, white and oolong. Anything else is not actually tea. All other herbal “teas” are from different plants and won’t have the same particular benefits of tea. Tea’s health benefits come from a type of antioxidant called polyphenols which have disease prevention and anti-ageing properties, as well as containing phytochemicals (also found in vegetables). It turns out that tea is also very hydrating despite the caffeine. While all teas are beneficial, there’s no doubt that green tea comes out tops. 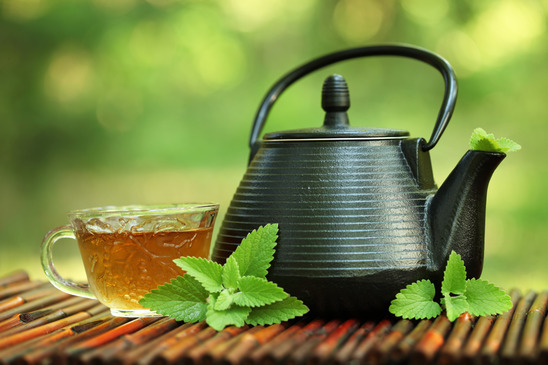 The polyphenols unique to green tea (epigallocatechin-3-gallate known as EGCG) act on molecular pathways to shut down the production and spread of tumours. EGCG can also be helpful in the prevention of arteriosclerosis, cerebral thrombus, heart attack and stroke. Studies suggest you need to drink 3 or 4 cups of tea a day to reap the benefits but to my mind, this needs to be weighed against the amount of caffeine one would then be consuming. I tend to have 1 or 2 cups a day at most and feel that, combined with other healthy lifestyle habits, I still reap the benefits. It’s important not to rely on one thing to be healthy. Tea isn’t a miracle cure, but rather another tool in the the tool box that helps to construct a healthy body. Added to this, green tea helps enhance brain function, prevents brain degeneration, protects against eye diseases, reduces blood pressure, lowers breast cancer risk and auto-immune disease risk and even improves digestion. And more. That’s really quite impressive. So which green tea should one go for? The good news is that out of all teas, green tea is the least processed (another good reason to drink it). As I do in everything I always go for organic and the good thing is that organic green teas of all varieties are easy to find. Matcha tea is supposedly the best form of green tea which can contain over 100 times more EGCG than other green teas. A telltale sign of good quality green tea is that it is actually green. If it looks brown it’s likely been oxidised which can damage or destroy many of it’s most valuable compounds. Squirting a bit of lemon into green tea not only tastes good but boosts the benefits. The other benefit of green tea (this applies to white as well) is that it’s usually drunk without milk. Sadly adding dairy and of course sugar, will counter many of the benefits. So tea is best drunk “straight” with nothing except lemon added to it. This is an acquired taste for some but well worth the effort. One way of training yourself to drink tea without sugar is to gradually decrease the amount you add. This is how I did it all those years ago and now I couldn’t drink tea with sugar if you paid me. Loose tea will contain higher levels of antioxidants than tea bags. While China produces 90% of the worlds tea, it’s best to buy tea from Japan or other Asian nations. The reason being that green tea is very effective at absorbing lead from the soil which is then taken up into the plants’ leaves. China is one of the most industrialised nations on earth with very high levels of pollution. According to ConsumerLab.com up to 2.5 micrograms of lead per serving can be found in tea from China. Tea from Japan was found to have no measurable amounts. This is especially true of Matcha tea where the whole leaf is used. It’s quite easy to find Matcha tea from Japan but much harder to find regular green tea from there. Organic tea is preferable because it’s grown in a pristine environment. Otherwise the plant will readily absorb fluoride, heavy metals (see the note on lead above) and other toxins from the soil. How very interesting, on this article about Green Tea, i dint know so many brands existed&of course which choice, i mean the best, as i am an english tea drinker&only drink Yorkshire Tea, but occasionally have a cup of “Green Tea” like now,as i haven’t been very well, caught some horrible infection of the throat, 1st time in mylife to feel so unwell!! But going back to my green tea i just drunk, wait for it!!!! Twinings pure Green Tea& i thought it was the best, well we learn something every day. Your article&especially the little trance or what you experienced with friends, sitting round on the floor&drinking green Ts, i almost felt the relaxation&serene peaceful atmosphere you felt!! Thanx Glynis& Ageless for sharing all this info with us! !